Buy at Direct Mats with confidence, we do our best to get your products to you at a fast and at affordable rates. Not surprisingly Adelaide’s Martial arts culture flourishes & there are many varieties in practice. From Judo in McLaren Vale to Shotokan Karate in the southern suburbs. With many clubs in the southern states interested in Direct Mats Jigsaw mats. 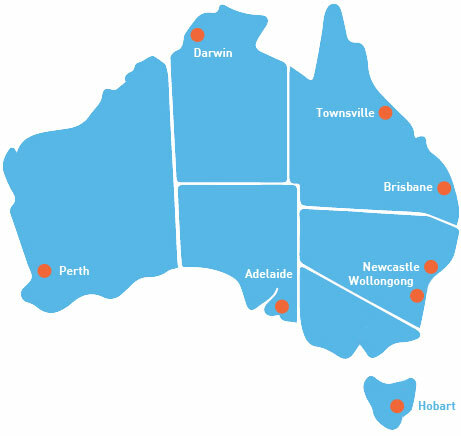 Direct Mats have established a warehouse in Melbourne to cater for our southern customers. We regularly ship EzyMats jigsaw mats from our Port Melbourne warehouse to the Dojos & Kwoons of Adelaide. Our Logistics man knows who to talk to get the best shipping rates to deliver Direct Mats to South Australia. Call or email us for a competitive freight quote.